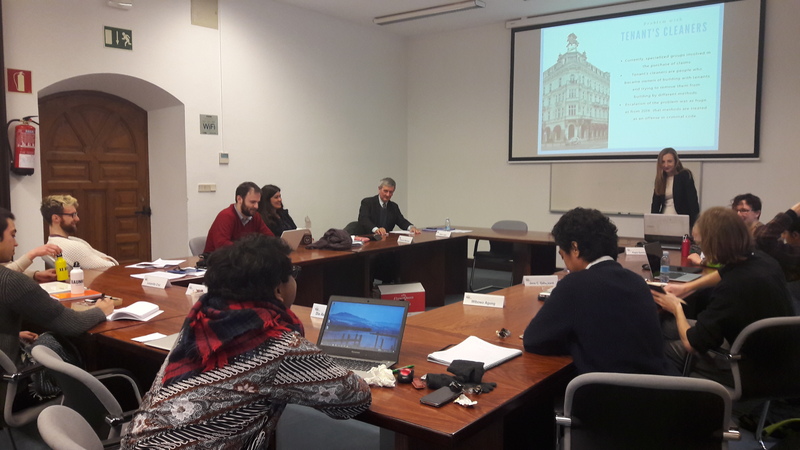 The course will introduce land and property in socio-legal theory and political philosophy through writers such as Locke, Marx, Lefebvre, Harvey, Castells, Ostrom and de Soto. The approach will cross academic disciplines (sociology and law but also history, geography, surveying and planning), and include practice within the professions of land and the built environment (lawyers, land surveyors, valuers and planners). The course will explore dimensions of human rights in relation to land and property, viz. :private property, housing, environment, landscape, habitats. Different forms of land tenure will be investigated (viz. private property, communal/customary/ethnic, state, and religious/charitable), as well as differences between rural and urban land issues, and institutional arrangements for land governance, including land dispute resolution mechanisms. A particular focus will be forced eviction and displacement, with case studies of Gypsies/Travellers and urban squatter movements.